Most of Britain’s leading universities are refusing to say how they spend their student’s £9,000 ($13,712) a year tuition fees four years after the government asked them to be more open about their finances. The Higher Education Policy Institute (Hepi), a think tank, invited leading English universities to explain how they spend the £9,000 ($13,712) they receive from students every year for their degrees. All of them refused. Previously universities had been asked by ministers to break down how they use their annual tuition fees. They wanted to get them to itemize costs like some universities in the US, but they refused. One of the UK universities, which did give a response of sorts, was Leicester. It provided a pie chart to show how it divvies up its £274 million ($417 million) annual budget. For example, it pays out £168 million ($255 million) on academic colleges and just £16 million ($24.3 million) on libraries and computers. But they didn’t itemize how an individual’s tuition fees are used. “There is no simple answer to what we spend fees on and we do not identify what any single funding source is paying for in most areas of the university,” Martyn Riddleston, the university’s director of finance, said in writing to Hepi. Nick Hillman, director of Hepi and former advisor to the universities minister David Willetts said that if universities refuse to itemize how they allocate their cash by contributing to Hepi’s new book on the issue, then they may lose out in future government spending cuts. Many universities are still heavily reliant on government subsidies despite tuition fees. “I’d like to see our universities adopting an approach similar to the local authorities on how they spend their council taxes where they itemize spending on individual services,” he said. “I worry that, unless their costs are more widely understood, they could fare badly in the cuts ahead,” he added. Another study by a funding body last month found that despite charging £9,000, the average cost of an undergraduate course was in fact £7,694 ($12,132). 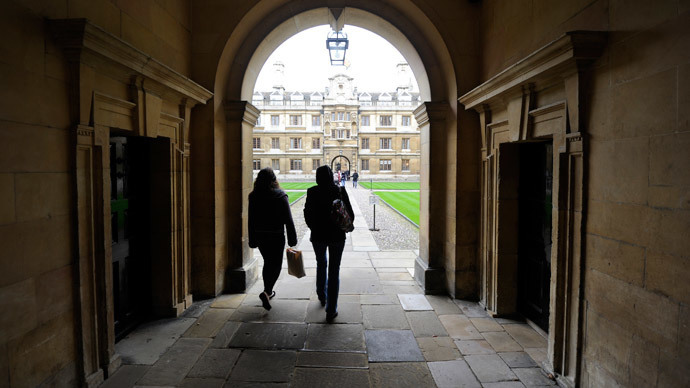 Although Oxford and Cambridge have said repeatedly that their degrees cost £16,000 ($24,375). One reason for the lack of response may be that universities want to hide how students studying classroom subjects such as humanities, which are cheaper to teach, subsidize undergraduates on more expensive courses such as medicine, according to a former government advisor. It is also known that universities use income from their tuition fees to fund infrastructure work, after heavy cuts in grants from the government have left funding shortfalls.